Cult blu-ray purveyors Arrow Video have released a compendium of film writing. Back in the pre-internet days, if you wanted an education on cult cinema you had to rely on books. Thankfully there were some great ones - Danny Peary's majestic three volume Cult Movies was a particular influence on this writer - and I'm happy to see the tradition lives on with this compendium from the folks at Arrow Video. 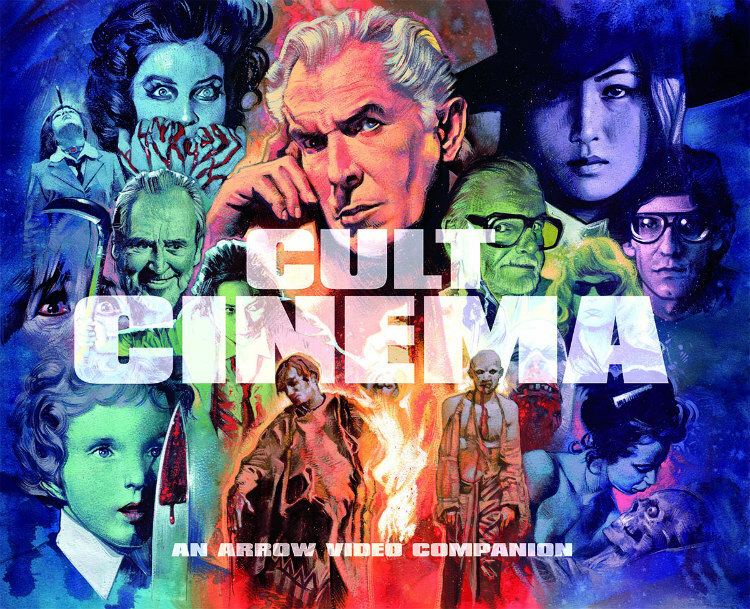 Anyone with a blu-ray player and an obsession with cult and genre cinema will be familiar with Arrow Video, arguably the finest purveyors of hi-def cult movies, and certainly the best in the UK (though they've recently branched out to the US). 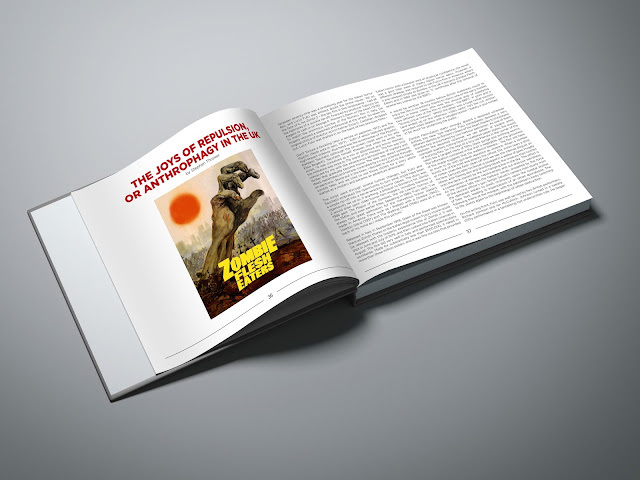 Their discs feature the highest quality transfers, usually backed up with an exhaustive collection of special features, but an added bonus is the booklet that comes with every AV release, similarly packed with interviews and essays by some of the best film writers out there. Cult Cinema: An Arrow Video Companion gathers together a host of these essays, along with some new contributions, from a total of 25 writers, including a foreword from High-Rise and A Field in England director Ben Wheatley, in which he gets all nostalgic for his days as a burgeoning cult cinema enthusiast in the '80s and '90s. The book is split into five distinct sections. 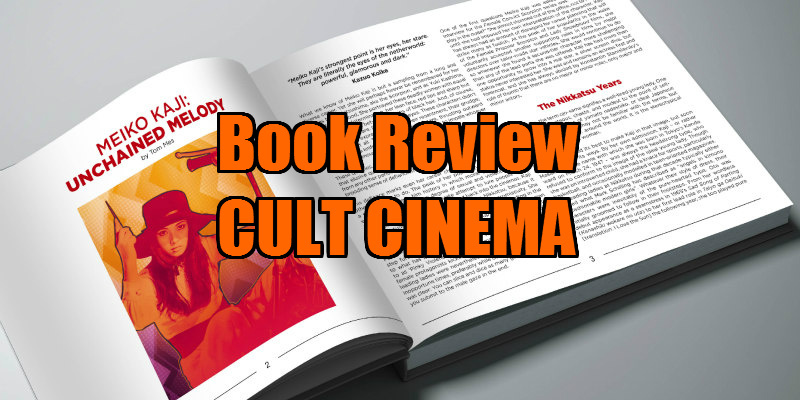 First up is 'Cult Movies', comprised of essays on individual films -The Fall of the House of Usher, Deep Red, Zombie Flesh Eaters, Dressed to Kill, Withnail & I, The 'Burbs and Battle Royale - spanning the breadth of the wide definition of 'cult'. Next up we look at six specific directors: Seijun Suzuki, David Cronenberg, Tinto Brass, Lloyd Kaufman, the late Wes Craven and George A Romero, followed by a third section spotlighting five actors: Boris Karloff, Herve Villechaize, Vincent Price, Meiko Kaji and Pam Grier. The fourth section examines seven sub-genres, from Giallo to Canuxploitation (Canadian exploitation! ), before the book wraps up with a look at distribution. For a veteran cult cinema buff, the latter two sections won't provide much new information - they're pretty basic overviews that serve as intros to their topics (think Jonathan Ross's Incredibly Strange Film Book) - but the first three sections will be reason enough for a purchase, as the writers provide the sort of insight and knowledge on their subjects you'll struggle to find elsewhere. Thankfully, 'cult' has been kept to its traditional definition, so there's no discussion of the new wave of 'fake cult movies' like Machete or Hobo with a Shotgun. Currently, the book is only available in hardback, which is a shame, as a paperback edition more conducive to reading on public transport would be much appreciated; this is more a book to lose yourself in rather than one to adorn your coffee table. Another minor quibble is that the book could have used another pass from a proof-reader - there are quite a few typos and spelling errors on display. If you're a lover of genre cinema however, you'll overlook this and make Arrow's book an essential part of your film literature library.